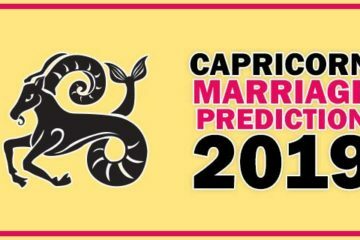 The marriage horoscope of cancer for 2019 is right here with a lot of hopes & positive marriage predictions. This year Jupiter will bless you with marriage & life partner. Let’s know in detail. The year 2019 is going to be quite successful for the cancerous. On the one side, Saturn is giving you victory on the enemies in sixth house; on the other hand, Jupiter is opening the path of good fortune in the fifth house of horoscope. Most of the work will be done by your luck. In this year Rahu and Ketu will stay in your first & seventh house respectively till the end of March. Saturn will remain in the sixth house for the whole year and Jupiter’s position will remain in the fifth place throughout the year, fifth house is known for the love. 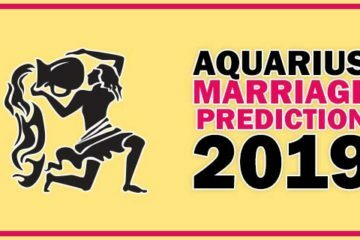 This is a very good sign as the upcoming year is lucky for the people who are thinking about love marriage. No doubt there is a chance of success in the love relationship. Those who want to get love marriage will get success. Rahu and Ketu will transit from Cancer & Capricorn to Gemini & Sagittarius respectively in the month of April and they will help you to eliminate all your problems. At the beginning of the year, the position of Rahu and Ketu is favorable, so you can try for Love Marriage. Venus is fulfilling your wishes in the fourth house. With its position in fifth house Jupiter is making love relationship favorable for you. Saturn is conquering the enemies in the sixth house. The aspect of Jupiter is on Mars, hence you are getting a good fortune from all sides. The month of January will be good, the coldness in the love relationship will go away and you will feel the warmness in love relationship. There are the chances of sudden marriage for the people of Cancer who are waiting for the wedding. The month of January is good for them. In the middle of January, the sun will come in the seventh house therefore, it is advised you to get your marriage related work done before 15th January. In the month of February, the sun will be situated in the seventh house along with Mercury. Venus has also been cleaned, so the planetary position is not conducive to marriage. There will be obstacles in marriage for those who have not yet got married. February is not something special, it will be a waste of time, so don’t discuss more about marriage in this month. The planetary position is normal for the people of Cancer in the month of March. The aspect of Mars on the fifth house will bring the obstacles in marriage related work. Venus is in the seventh house, therefore a little hope will remain, but the atmosphere of the house is not conducive to marriage due to the aspect of Saturn on the Lord of second house. There are chances of marriage of Cancer people in April. If they face any problem it is because of Mars’s aspect. If you are planning for marriage, the month of April is good. You have to take some remedial steps for Mar only, remaining planets Mercury, Venus etc are good & favourable. Jupiter has gone to the sixth house of your horoscope for some time and under the aspect of Mars. Therefore remedial step for Mars is asked. Family is considered from the second house and the lord of second house is Sun and it is also favourable so I can say that April is going to be good and favourable for marriage for the people of Cancer. The month of May for Cancer people is very good for marriage purpose because with its position in fifth house, Jupiter is making you fortunate. There are chances of Love marriage. Rahu Ketu has changed their position to sixth and twelfth house. Many problems related to marriage will be resolved in the month of May. Mars’s aspect will create some differences in your family and it is your duty to overcome them. It is advise you to use your discretion. In the month of June, Mars will transit in twelfth house along with Rahu. There will be big expenditure in which marriage expenses may also be included. Jupiter is opening the path of success for you in this month, don’t miss any chance. If you are waiting for marriage, the month of June is not bad either. Venus, Sun, Mercury are in favorable condition. 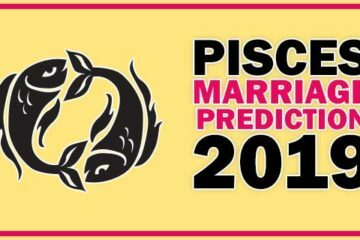 The Cancer marriage prediction is not favorable in the month of July. On the one hand, due to the aspect of Mars, obstacles in the marriages will arise. On the other side, the sun’s aspect is on the lord of seventh the Saturn, therefore there will be constraints in the work which are on the verge of completion. This planetary position in the month of August will be similar to July. Due to the aspect of Mars, almost complete work may worsen. Marriage tasks should be avoided for some time. The time is not good for love marriage too. The prediction of marriage for cancer people is slightly better in the month of September. But in your family, due to some activities marriage chances will hamper. There shall not be consent between the members of the family on any subject. You may have to wait a bit because of these contradiction. The situation will improve in the month of October. Sun & Mars are favorable, but I advise you to do the engagement only in this month. Take a little more time to get the wedding date out. The marriage decision should be taken only when there is a favorable time. There is a strong possibility of engagement due to the strong position of Mercury in fourth house. Therefore, the people of Cancer who are not yet married are likely to have their marriage fixed in the month of October. November month will be like October for the people of Cancer who are waiting for the marriage. Nevertheless, those who wish to have love marriages can achieve success because three auspicious planets will sit in the fifth house collectively in the month of November. This planetary situation will give a better chance for love marriage. Those who are waiting for the marriage don’t take marriage decision in the month of December, because on one side there is a aspect of Mars on the seventh house, on the other hand, Jupiter has left the fifth house and moved to sixth house. Many responsibilities will arise suddenly; there are so many tasks which are more important than marriage. Mars, Saturn, Venus, Rahu & Ketu, there are unfavorable conditions for you in marriage. Keep patience & wait for some time. Overall there is a lot of chances of marriages for Cancer in 2019. Those who interested in Love marriage will get love marriage and those who are looking for arrange marriages will be married accordingly. The rest depends on your horoscope.